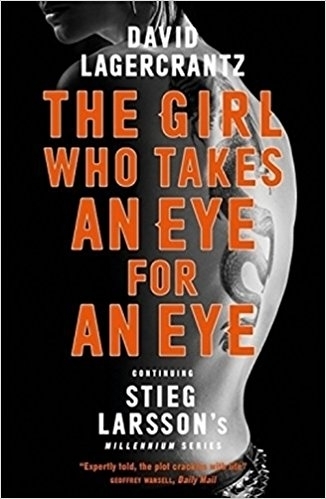 Sentenced to two months in Flodberga women's prison for saving a young boy's life by any means necessary, Salander refuses to say anything in her own defence. She has more important things on her mind. Mikael Blomkvist makes the long trip to visit every week - and receives a lead to follow for his pains. For him, it looks to be an important expose for Millennium. For her, it could unlock the facts of her childhood. Even from a corrupt prison system run largely by the inmates, Salander will stand up for what she believes in, whatever the cost. And she will seek the truth that is somehow connected with her childhood memory, of a woman with a blazing birthmark on her neck - that looked as if it had been burned by a dragon's fire . . . The tension, power and unstoppable force of The Girl Who Takes an Eye for an Eye are inspired by Stieg Larsson's Millennium trilogy, as Salander and Blomkvist continue the fight for justice that has thrilled millions of readers across the world.